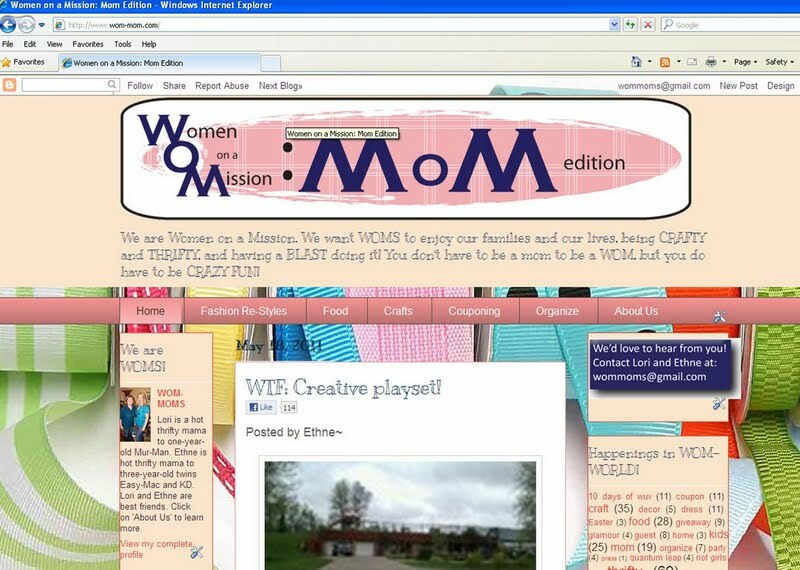 Women on a Mission: Mom Edition: COMPUTER GENIUS? One valuable skill I have acquired is how to take a print screen (for example, a screen shot of a website). Remember my praise for Priceline post? I used several print screen shots. 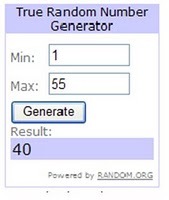 Or when we do a giveaway and use random.org to make everything very legit? I use a print screen of the random.org chart. I used a sreen shot to post this chart. ﻿﻿﻿Bloggers use it all the time and I thought why not share this skill with our followers. I discovered that Ethne didn’t know how to do it—so she is learning right along with you. Even some of my speech students didn’t know how to do it (yes, I teach college speech class) and typically they are way ahead of me when it comes to computer skills (but not giving a speech—of course). Pull up a website that you would like to take a “picture of”. (For purposes of this activity, I of course pulled up WOM-MOM). 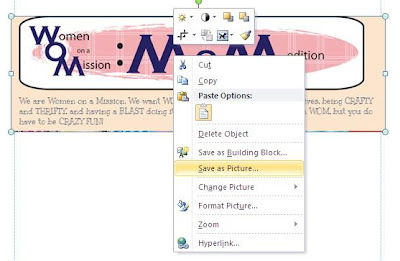 Next, hit the print screen button (look on your keyboard and hit ctrl (control) and print screen (which is located by F12 on your keyboard)). 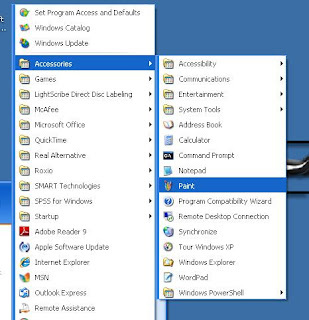 Next, you will open the program Paint (this program is typically found in your accessories window). Once in paint, you will hit control V (or paste). This will literally paint your screen shot into paint. Next, you will crop the shot using the dashed square (also called the select tool). Select the photo or area you would like. Hit control X (or cut). I am now in Paint and have "selected" the WOM-MOM banner. 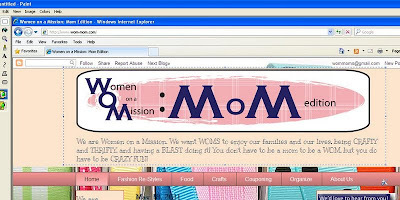 Next, I open up the program Microsoft Publisher (I find this works great, because it allows me to save the file as a jpg, which is needed for WOM-MOM). 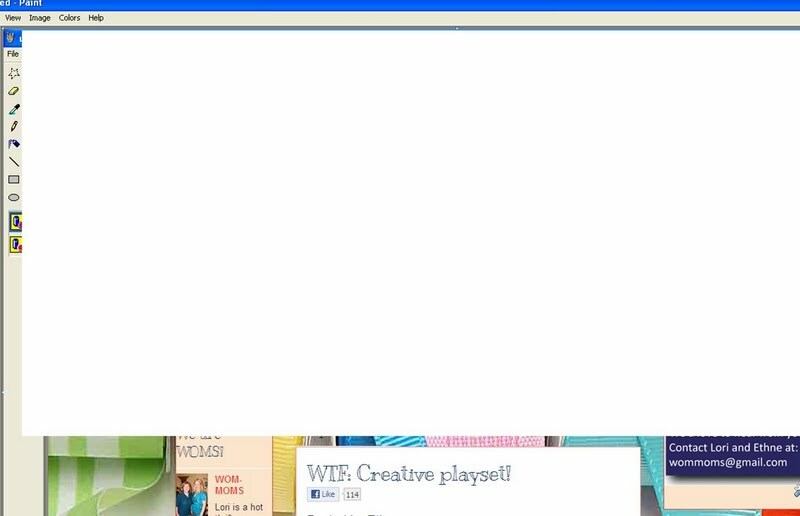 Once in publisher, I select a blank page. I then hit Control V (or paste). Left click on the photo, select save as picture, and save as a jpg. I will save the screen shot as a jpg. There you have it WOMS…you can send this out as an email to a friend, post it on a blog, and so much more! Followers—if you have other computers skills to share, please do! 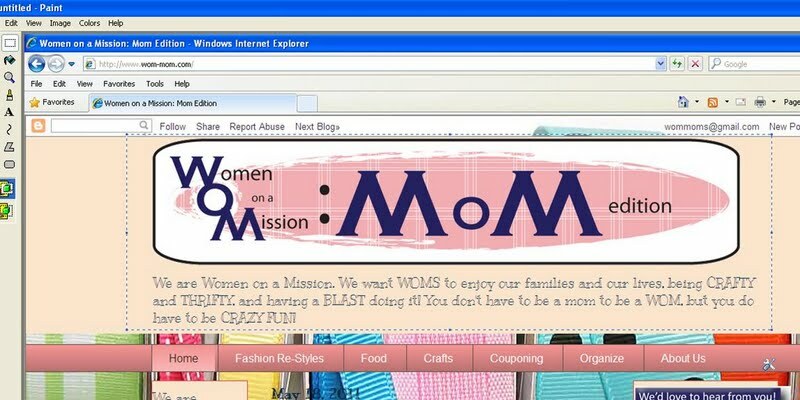 Email us at wommoms@gmail.com. Ethne and I encourage it! Of course, our computer skills don’t stop there, but as WOMS we are looking to learn as much as we can!